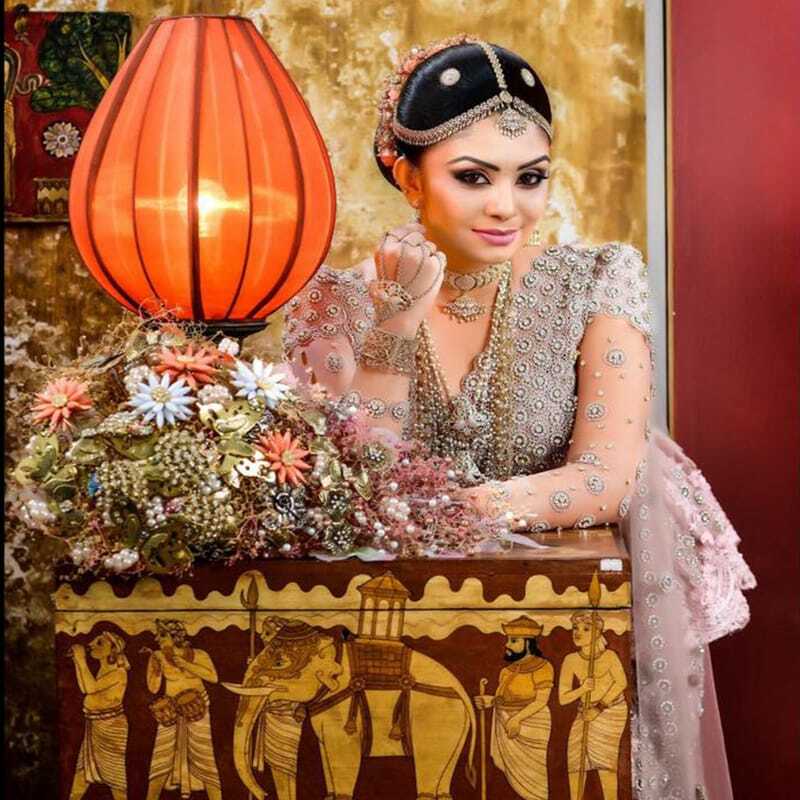 At Salon Indumala every bride is treated to the best bridal services available in Kandy. Our services begin with a private consultation with Manju and Indu to discuss the design of your bridal saree, make-up and jewellery. 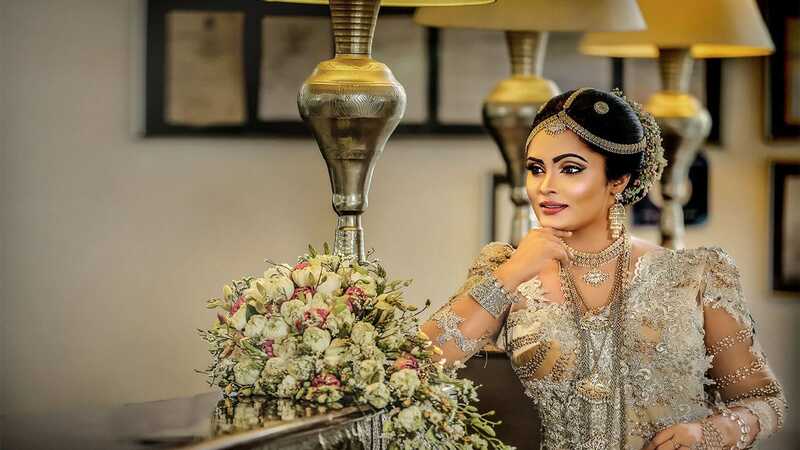 Searching for that perfect Kandyan Bridal Salon isn’t always easy but Salon Indumala located in Kandy offers a wide selection of bridal services for the young ladies dreaming of being a Kandyan Bride on her wedding day. 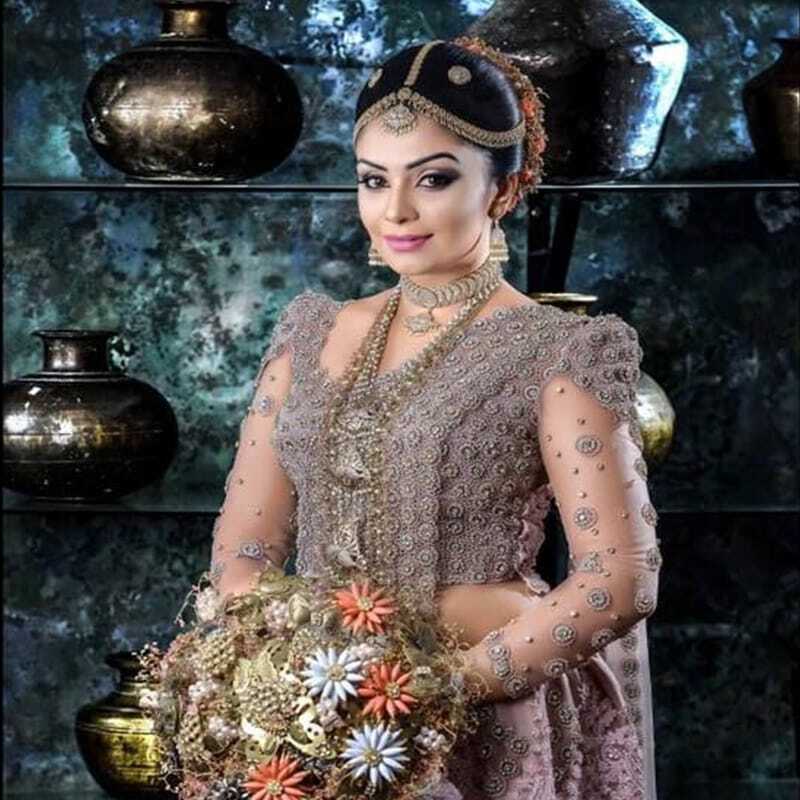 Our bridal salon in Kandy carries an exclusive range of cosmetics specially selected to enhance the beauty of a young lady dressed as a Kandyan bride. 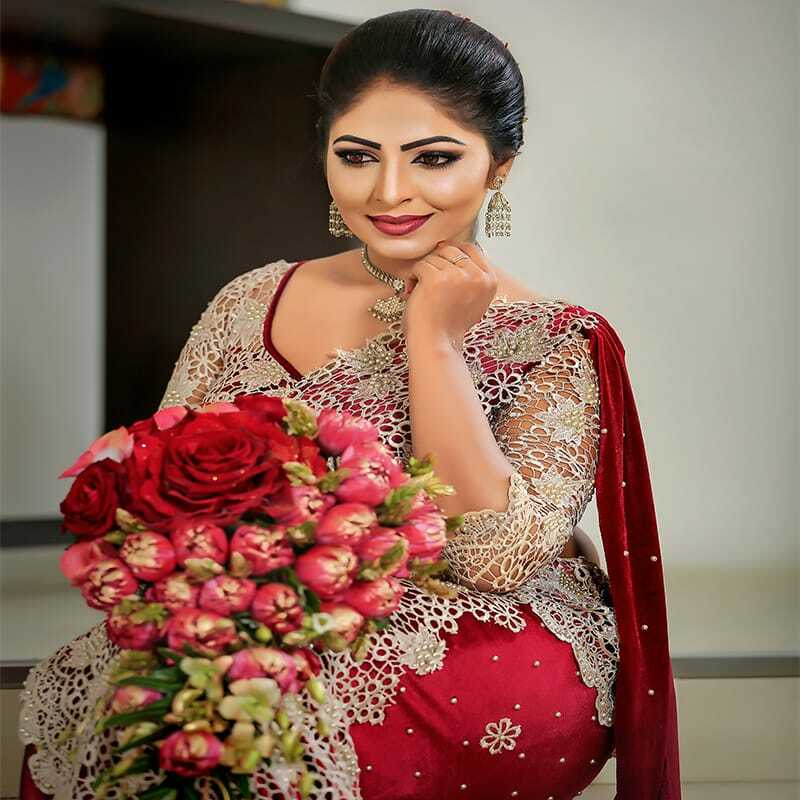 Salon Indumala is the leading bridal salon in Kandy that has won may awards in the fields of Bridal Saree Designing and Workings and High Class Bridal Makeup Artistry. We design and create original wedding sarees for brides. Our Wedding sarees are hand crafted using the techniques of traditional saree working. Salon Indumala is well known for beautifully constructed kandyan wedding sarees. 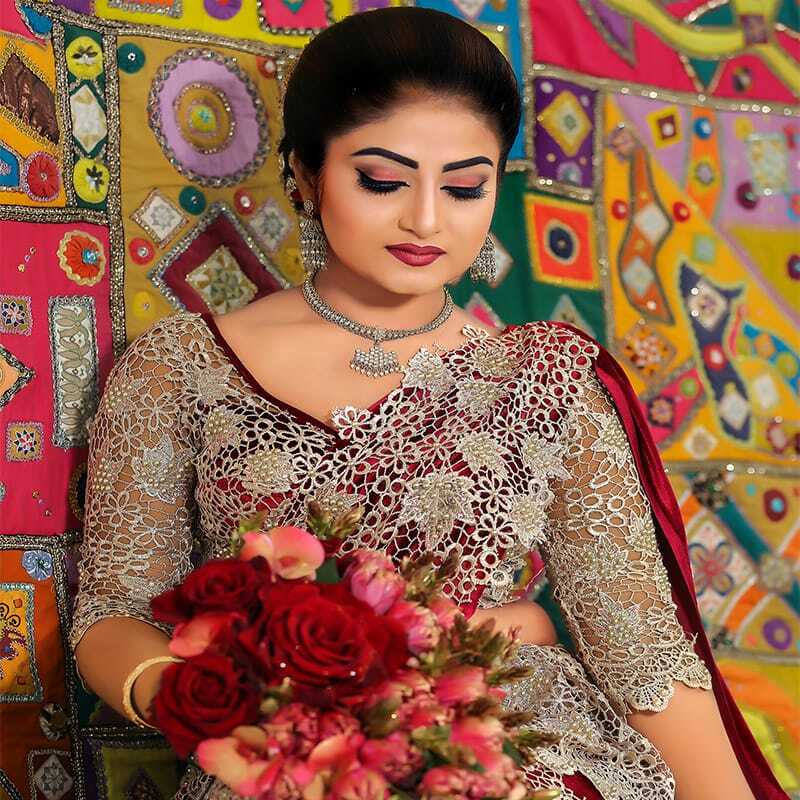 Manju’s wedding sarees are created through a process known as draping. The process of sculpting gorgeous kandyan sarees is a natural talent for someone with discerning eyes. 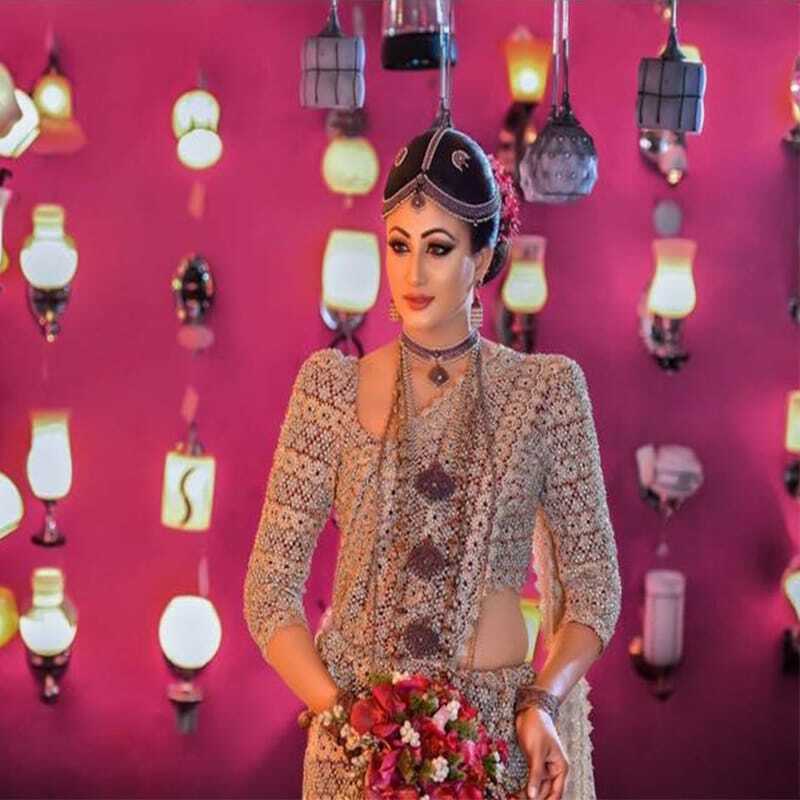 When draping Manju can try out new ideas to fit the brides figure. Indù specialises in Bridal Makeup and has vast experience in tailoring that perfect look for your wedding day. 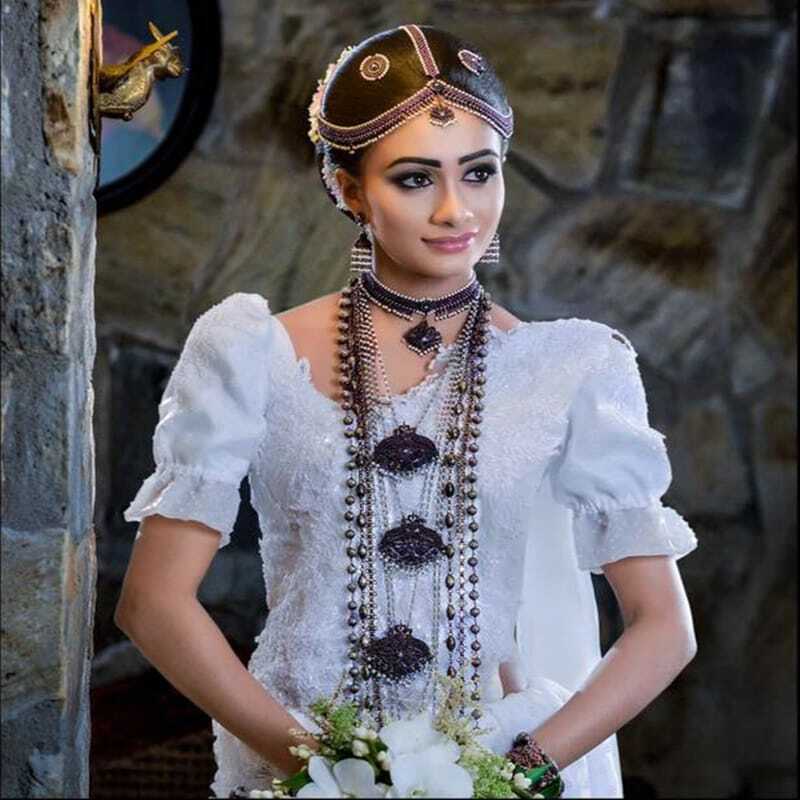 Indumala will work with you to find your style and personality and create the look of a true kandyan princess. If you need some pampering before your wedding day why not enjoy a relaxing facial treatment. This facial includes a cleanse, exfoliation, steam extractions, a face, shoulder, neck and scalp massage, as well as a mask tone and moisturise. Mehendi Designs are traditional body art that Brides adorn on their hands and feet. Manju is also a talented Mehendi artists who creates amazing designs for the ladies who love to have these designs on their hands and feet. 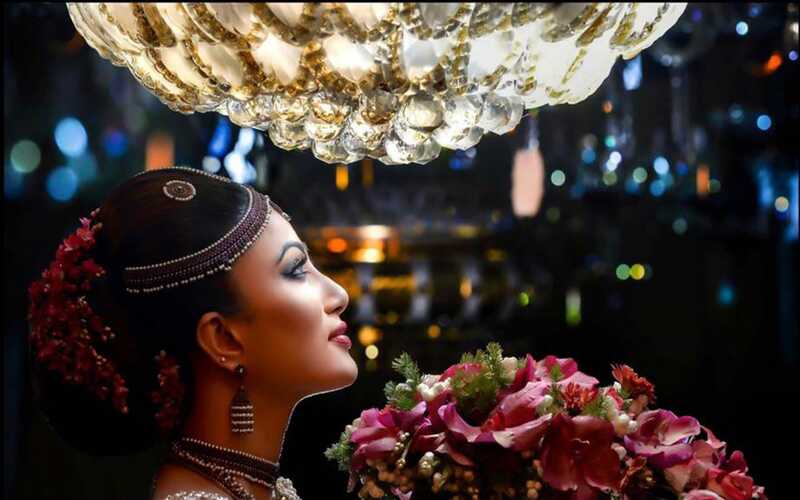 Add sparkle to your Kandyan Wedding with our range of beautiful kandyan wedding jewellery. Create the perfect look on your wedding day with masterfully hand crafted wedding jewellery and bridal hair accessories fit for a princess.